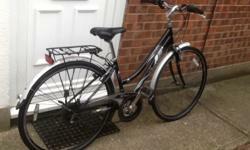 For sale is a ladies bike. It has a bell and also gears (see photos). I can not remember what size the frame is - I'm 5'8 and it was perfect for me. If you would like to view the bike and see if it is the right size just contact me and I will organise a time for you to view it. 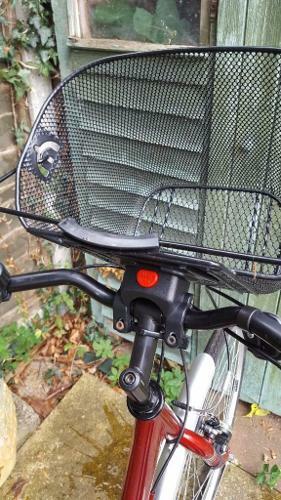 The basket is included - it can be removed from the bike easily. 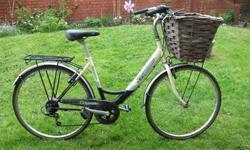 I bought it earlier this year but am selling it as I have moved somewhere where I can't keep the bike. It does have a little bit of rust on the chain/chain area. This bike has been kept outside. I do have a cover over it at all times. 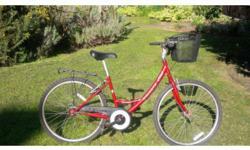 Note: pickups only - I live in London now and my old landlady in Essex is looking after the bike for me.